Acting Balanced: P&G Team Up with Lolo Jones and You can Win! Giveaway! P&G Team Up with Lolo Jones and You can Win! Giveaway! It may be a few months away, but P&G has already begun gearing up for the London 2012 Olympic Games (have you seen their amazing short film: http://www.youtube.com/watch?v=NScs_qX2Okk?). Jones attended eight schools in eight years while her single mother often held down two jobs to support her family of six. In third grade, the Jones family settled in the basement of a Des Moines-area church. Lolo attributes her success to the support of her mom and community, as well as hard work and determination. 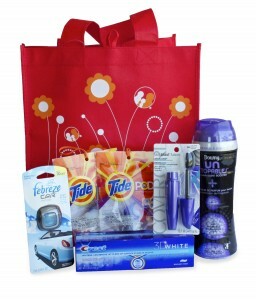 They've also created a special prize package for one lucky US reader which includes: Tide® Pods, Febreze® Auto Air Freshener, Downy® Unstoppables (full size), Crest® 3D White Toothpaste, Clairol® Lash Blash Mascara – all in a reusable Family Dollar shopping bag! Just complete the rafflecopter form below to win! Disclaimer: I received a gift in exchange for this post.